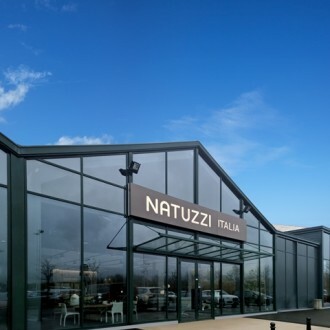 High-end furniture and homeware brand Natuzzi Italia announces the opening of its first directly owned store in France situated in Val d’Europe shopping centre. Continuing its major growth initiative for 2018, the brand new 500 square metre store showcases a wide selection of Natuzzi Italia’s latest product offerings, armchairs and chairs, stunning wooden furniture for the living room, dining room and bedroom, accent lamps, accessories and rugs – all blending design functions, materials and colours to create harmonious living in any home. The new store, designed by the Natuzzi Style Center in Italy, reflect the evolution of the brand experience which brings to life the true spirit and DNA of the Puglia based brand. Synonymous with Italian artisan creativity innovation and a worldwide symbol of the Italian lifestyle, Natuzzi Italia embodies the search for harmony between furniture, objects and spaces, creating interior decoration solutions of unparalleled quality in collaboration with internationally recognised designers and crafted by specialists in leather, fabrics and wood.